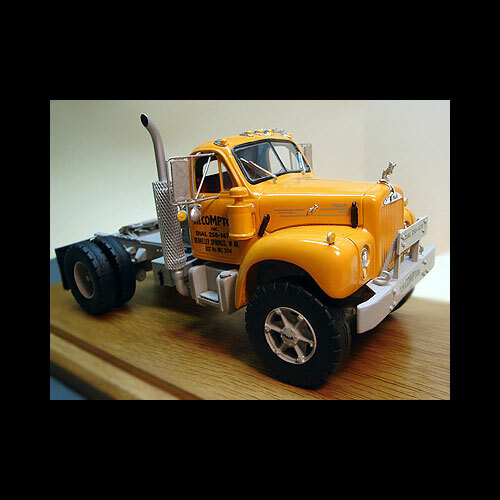 1950's Mack B-61 Heavy Truck by American Industrial Resin Kits. Mack B-61 single axle tractor complete kit includes all parts: Cab, hood, fenders, interior with seats and dash, grab handles, mirrors, exhaust stacks, airhorns, turn signals, air cleaners, bumper and decals. Plus chassis, fifth wheel, fuel tanks, engine & drive train and wheels & tires. Grey parts are made of metal (pewter). 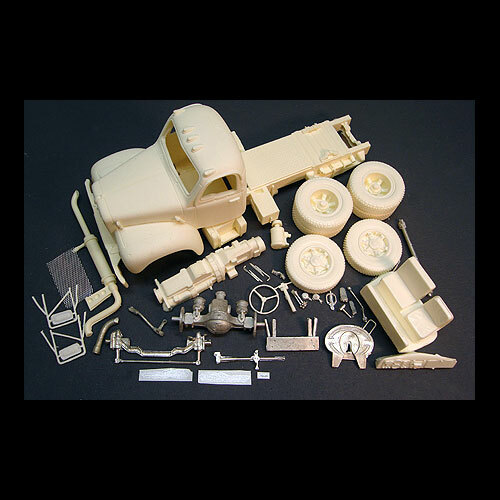 This resin model / body may require a Heavy Truck model kit or a Light Truck model kit for donor parts to detail.